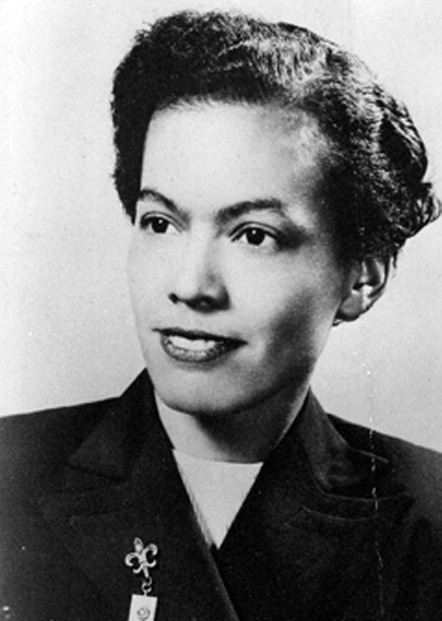 Pauli Murray was born on November 20, 1910 in Baltimore, Maryland, the daughter of Agnes and William Murray. Her father, a Howard University graduate, taught in the Baltimore public schools. Both of Murray’s parents died when she was a child. Her mother suffered from a brain hemorrhage and died in 1914. Her father was the victim of typhoid fever and died in 1923. Murray argued that her experiences encountering and overcoming racial and gender discrimination gave her special insight into the nature of racial and sexual hierarchies in U.S. and wrote about its various manifestations in America’s legal history. Murray coined the term “Jane Crow and Jim Crow” to describe the impact of dual discrimination. She also joined both the civil rights movement and the feminist movement. In 1966 Murray was one of the founders of the National Organization for Women (NOW) with feminist icon Betty Friedan. Murray’s life took an abrupt turn when at the age of 62 she entered a seminary and became in 1977 the first black female priest ordained by the Episcopal Church. On July 1, 1985, cancer claimed the life of Pauli Murray in Pittsburgh, Pennsylvania. Her autobiography Song in a Weary Throat: an American Pilgrimage was published posthumously in 1987. Pauli Murray, Song in a Weary Throat: An American Pilgrimage (New York: Harper and Row, 1987); Elaine Sue Caldbeck, “A Religious Life of Pauli Murray: Hope and Struggle,” Ph.D. dissertation, Northwestern University, 2000; http://spartacus-educational.com/USAmurrayA.htm. Sue Caldbeck, “A Religious Life of Pauli Murray: Hope and Struggle,” Ph.D.